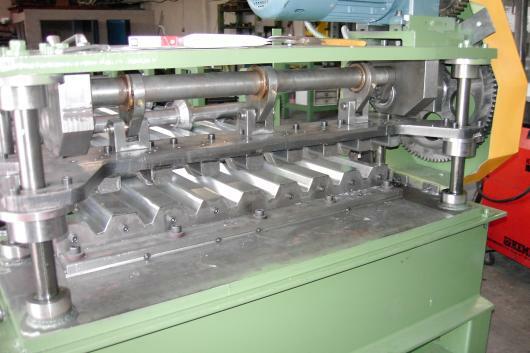 At our main facilities we operate a high output trapezoidal and corrugated metal sheets production. 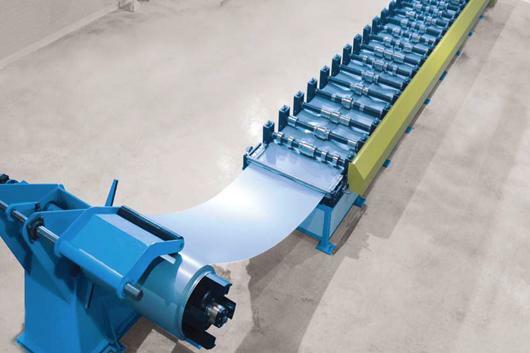 Our main processing line consists of an automatic roll forming machine for trapezoidal sheets production (roll forming machine of 40 meters length with 22 rows of rolls). We produce high quality trapezoidal sheets, galvanized and electrostatically painted, available at cost-competitive prices. Product quality is certified by an independent European Certification Center. In order to provide a full range of products for building roofing and side covering, we produce all necessary metal accessories (caps and covers) and we import required parts (screws, metallic or plastic grommets) for mounting these systems. Lately, we also import and provide transparent acrylic sheets of trapezoidal shape from "POLSER FIBRALAM" industry. 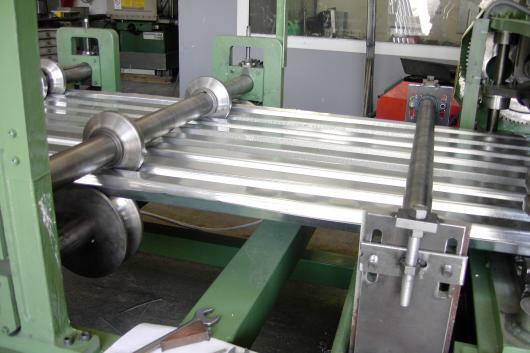 Steel Quality: DX51D according to EN 10142/90 (ST 022 κατά DIN 1762/77). 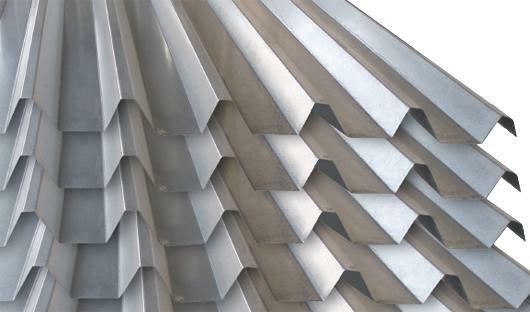 alvanization Quality: Galvanization Ζ140 - Ζ270 (140-270 gr/m2). 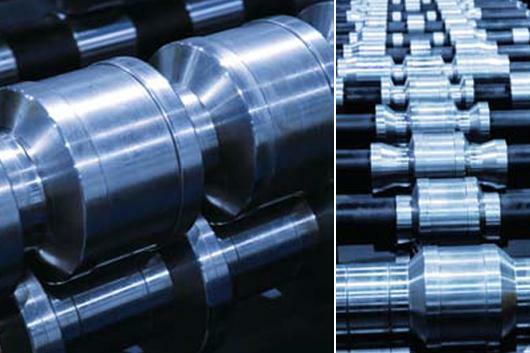 Galvalume, Al -Zn alloy (Aluzinc). 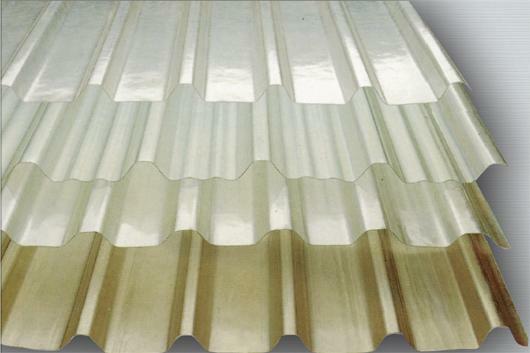 Galvanized sheet Ζ140 pre-painted with polyester coating of various colors. FIBRA-LAM transparent acrylic sheets are durable and soundproofing. They do not rust and are flexible. They are available in sheets of 4, 5 and 6 meters of 1mm thickness. They can be perfectly combined with trapezoidal metal sheets, thus reducing lighting costs of a metallic building. Their price is cost-competitive, their fixation is really easy, their use reduces overall roof weight and they offer a special aesthetics to the building. Apart from metal buildings, they can also be used in green houses, car parking, car washes and many other roofing applications. 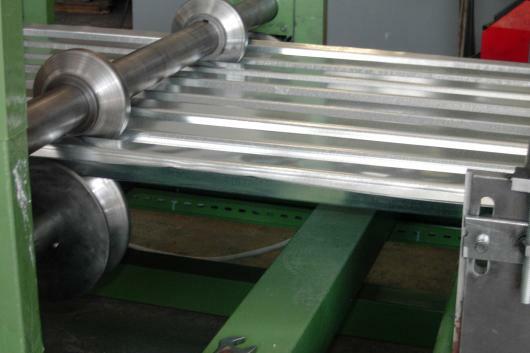 FIBRA-LAM sheets are produced according to British standards BS 476 part 6 & 7 and French standards ΑF-NOR ΝFΡ92 - 501. Their characteristics are unchanged due to time (at least for 10 years) or weather conditions. 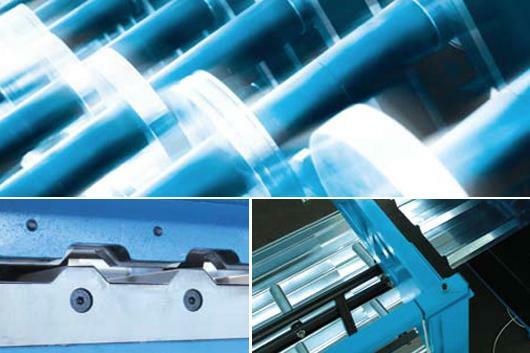 They can be easily cleaned and they present a perfect resistance to corrosion.